Motivated and constantly inspired, Joe “Avey” Sadowski has been making music since he was a child. 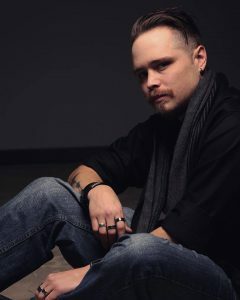 He operates out of his native city of Minneapolis as a producer/composer, working to create sonic harmony in all genres. A graduate of The Institute of Production and Recording, Joe credits the school as a place where his talents flourished. Joe lives for sound, “sleep tomorrow… now… another take” is often muttered at 2 am while in his studio working with artists. Driving for that brass ring through “Wah” guitars, horns, and eclectic drums, Joe goes above and beyond in his devotion to the music.